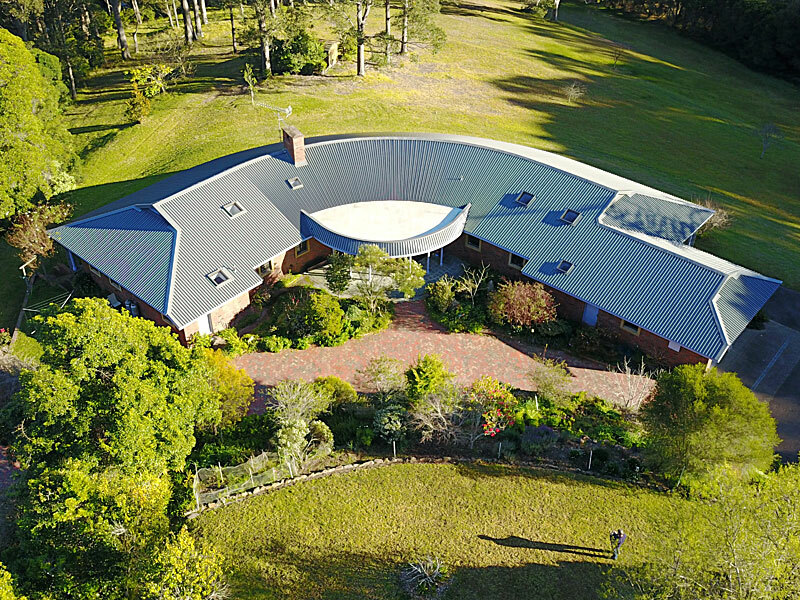 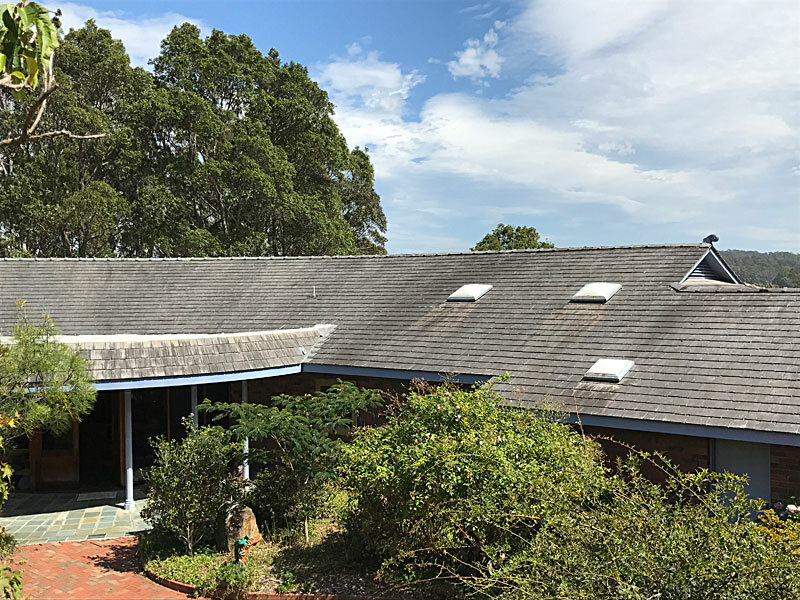 The client has an existing house with a Dutch gabled roof, curving 90 degrees, with aged cement shingles that were leaking. 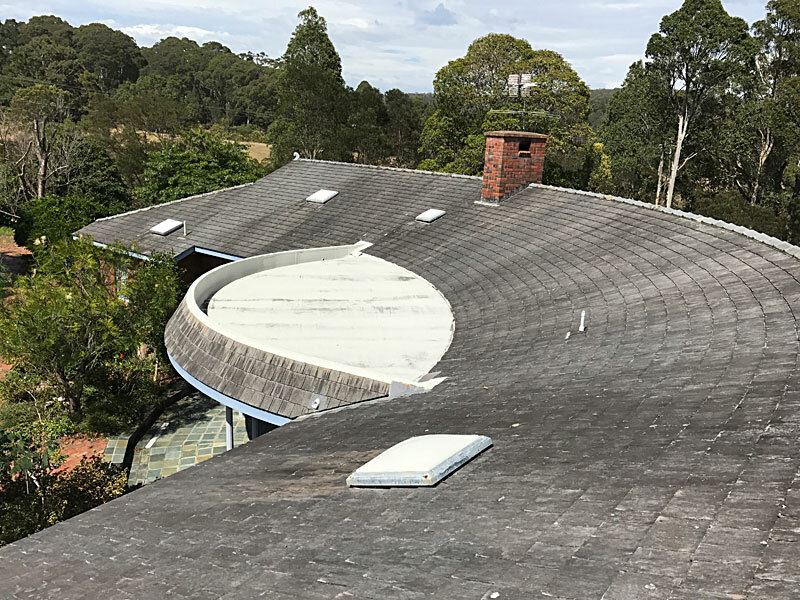 They had approached many suppliers and contractors for solutions to the roof and were at the point of removing the roof structure and “squaring” the house up. 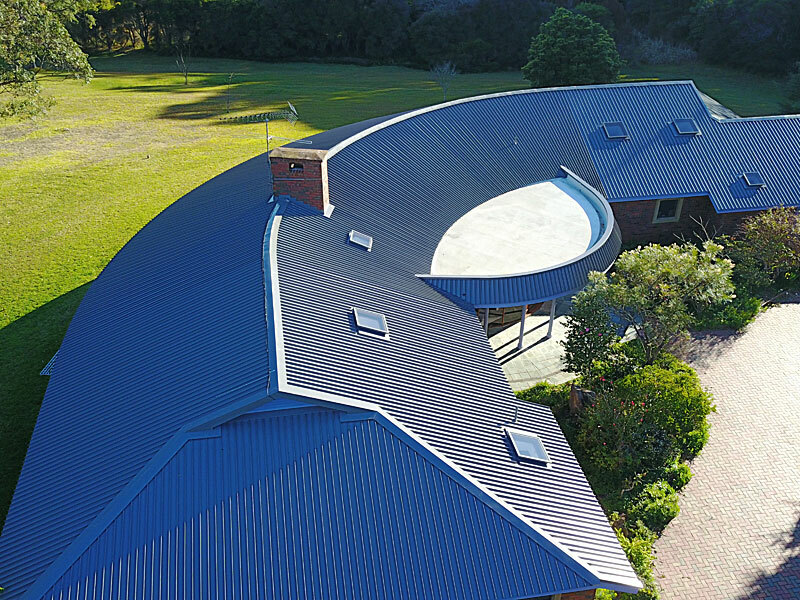 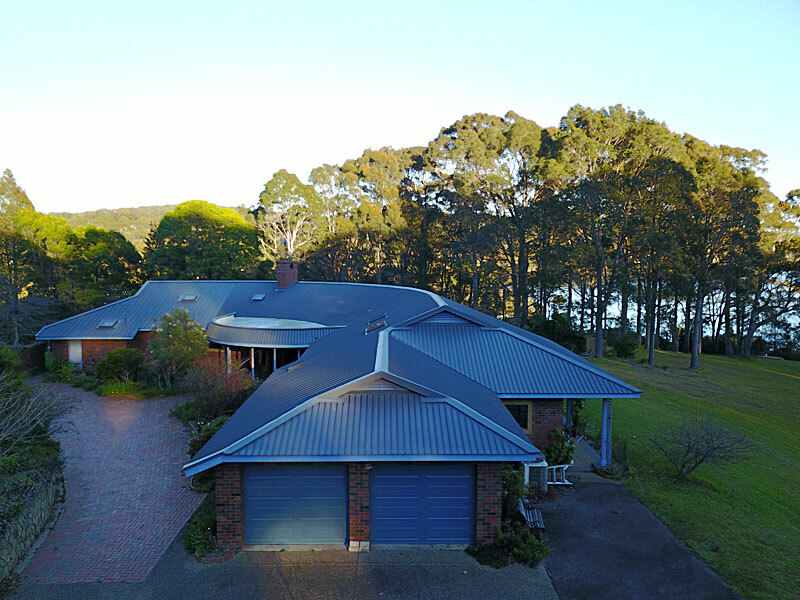 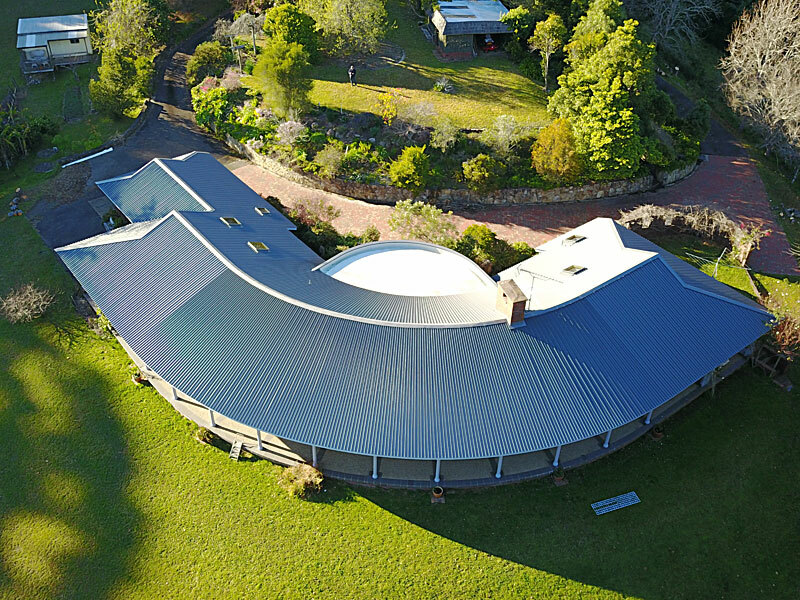 Bay & Coast Metal Roofing Pty Ltd proposed and used BlueScope Lysaght’s 305 Longline roofing profile to allow the straight roof sheets to then taper to a curvilinear profile, with both internal concave and external convex radials, and flow back to a straight roof seamlessly without any joints. 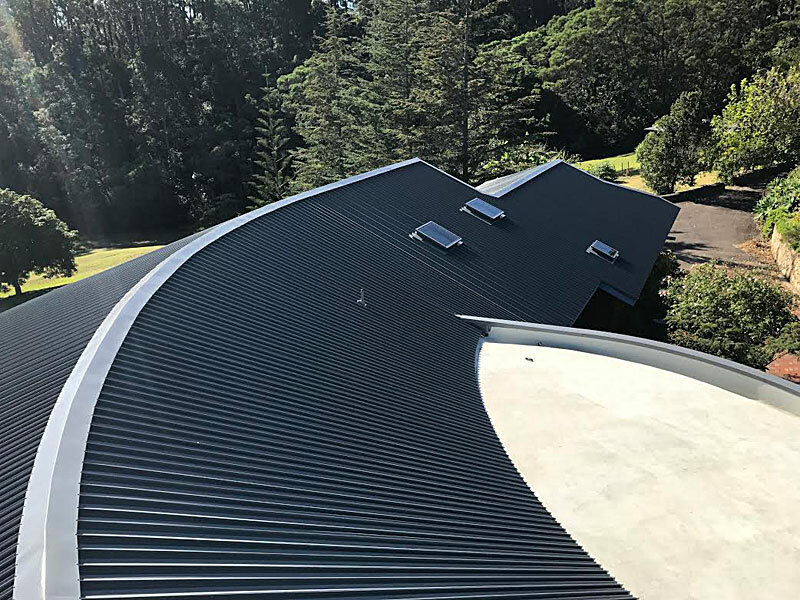 This required many hours of site surveying and calculations, with 220 roof sheets required to be tapered to suit the different radiuses and roof planes. 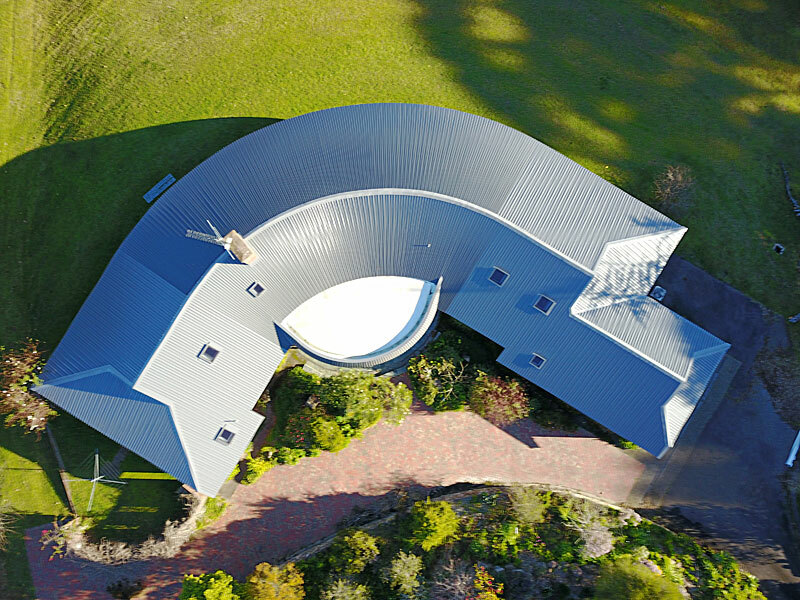 In addition, the client requested the entry portal be sheeted to match the main roof having an opposite curve to the roof and being pitched at 70 degrees. 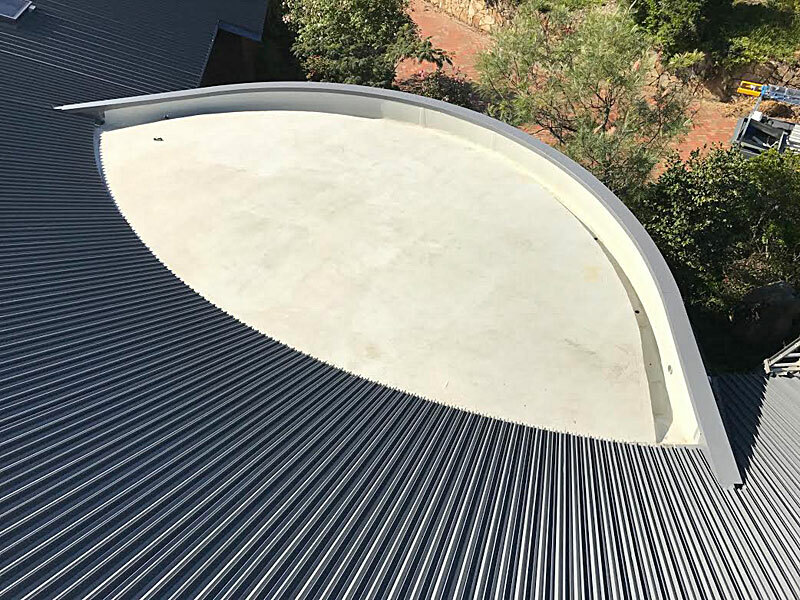 The project overall is a true reflection of the highest standard of combined trade skills, design and manufacturing of a roof system and has given the client a finish far beyond their expectations.